Name: Mercury rushes around the Sun in eighty-eight days. So, ancient Romans watching the night sky named this speedy planet after Mercury; their messenger God, (the same God in Greek myth is called Hermes). Statues of the God Mercury often show him with a winged helmet and winged feet. 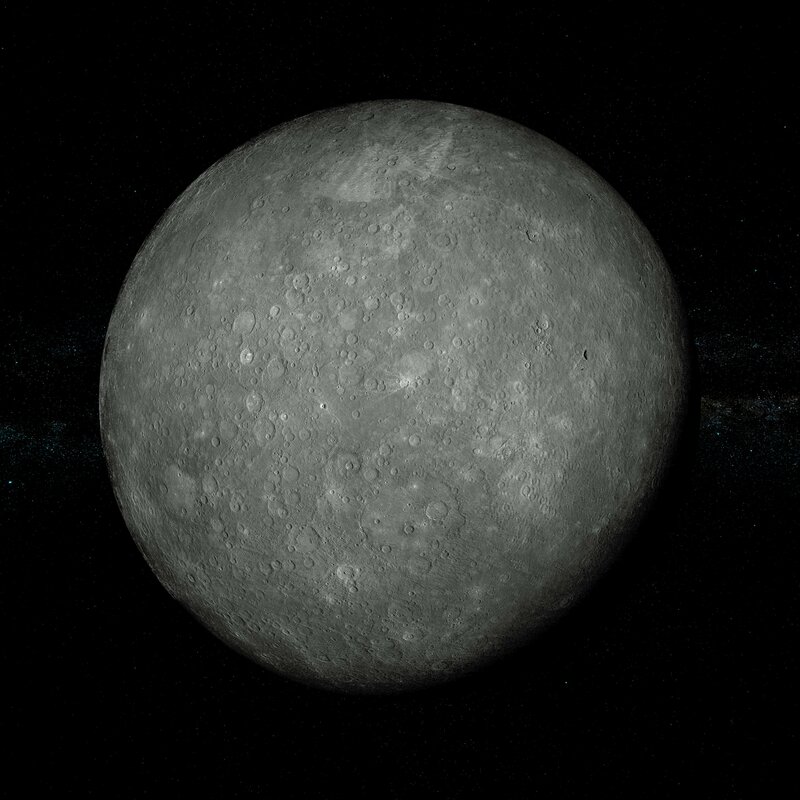 Fun Mercury Facts: It’s the second smallest planet in the solar system, after tiny Pluto. It’s also the planet that is closest to our Sun. If you ever visit, bring a helmet! Mercury’s surface looks a lot like our Moon, full of craters. That’s because like the Moon, there’s no atmosphere and it keeps getting pelted by asteroids. Next post: Fun facts about our Sun.